SAN ANTONIO - Here's a look at events taking place around the area Friday through Sunday. Dulce! : A night of desserts and drinks is what you can expect at this event Friday evening at San Antonio Botanical Garden. You can satisfy your sweet tooth with so many different options. All the fun starts at 7 p.m. Unfortunately, the event is sold out. 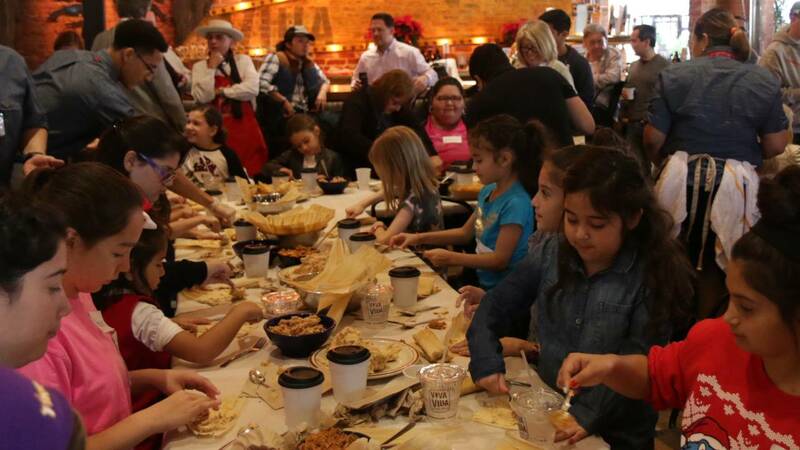 La Gran Tamalada: This annual community event will take place at Market Square Saturday. This will be a lot of fun for the entire family, including demonstrations on how to make tamales. This event starts at 11 a.m. and is free to attend. "The Phantom of the Opera": This Broadway classic returns to the Majestic Theatres. Shows started on Thursday and continue until Dec. 16. Tickets are available online. Yule Ball: This Harry Potter fan's dream party will take place at Central Library on Saturday. This event is for adults only and is free to attend. There will be a DJ and dancing, live magical creatures, a wand craft and games. All the fun starts at 6 p.m.
Coffee & Cordials Festival: Coffee lovers may want to attend this festival Saturday starting at 9 a.m. It will take place at Hemisfair Plaza. It is $5 general admission. Coffees from around the world will be featured, as well as activities for the whole family. 2018 Windcrest Light Up: This annual Windcrest event takes place this Saturday. Homes are elaborately decorated and compete in the competition to see who has the best decorated house. This starts at 6 p.m. Cowboy Christmas Parade: This parade takes place Saturday in Helotes and kicks off at 7:30 p.m. The theme this year is Songs of Christmas. It is a free community event. Copyright 2018 by KSAT. The Associated Press contributed to this report. All rights reserved. This material may not be published, broadcast, rewritten or redistributed.